*Finished this about 20 minutes ago. Loved it! Thanks to Netgalley! *I have a weakness for cooking memoirs. *On the cover, Georgina is listed as first author, but I'm guessing that my order is more appropriate. Still, I think this will be fun, light reading. *I don't know what to expect with this, but it looks cute. In love with Touch of Power. I really want to read Touch of Power! Good to know you liked it. I loved her Study series. You got some really good books this week. Kind of Jealous that you got Glimmer. Seems like everybody got Glimmer this week. I was looking at Dancergirl last month, I can't wait to see what you have to say about it. Great haul this week and have fun reading!! You can check out my mailbox here. I really liked Touch of Power too! You should definitely read her Touch of Power series, I love it! I've been seeing lots of good things about Touch of Power - I'm thinking I should check it out. Glad you loved Touch of Power. I really like Snyder's books. The A Circuit looks fun too. Hi Alison, sorry for the earlier post that I removed. I am intrigued by your Library Stash: Blood, Bones, & Butter. I was even thinking that this could be a perfect add-in to our paranormal bimonthly theme this January/February. Sounds delectable! Enjoy your new reads! I've heard a lot of amazing things about A touch Of Power, I can't wait to read it. Enjoy them all! I got Touch of Power a few weeks ago but I haven't had time to read it yet :) I hope it's great! Nice haul by the way. OOh very nice! I LOVED Touch of Power! Heck, I LOVE anything Maria writes! She's one of my all time FAVE authors! Hope you enjoy her new release as well as the rest of your new reads! I keep hearing about Touch of Power!! I need to heck it out!! I've been wanting to read Dancergirl. It looks awesome. I reviewed TOUCH OF POWER if you ever want to read it. Great book. the A circut cover is so pretty!!! i should check it out. Touch of Power looks like my sort of thing! Dancergirl has had some great reviews, too. Enjoy your haul! I would love to read Touch of Power. What am I most excited about would be Touch Me. I got that one off NetGalley and it sounded really good. Happy Reading and have a wonderful week! Love the cover of Dancergirl. Heard so many great things about Touch of Power too! Very nice! I will have to look into "the A circuit" and touch of power. Touch of Power is everywhere lately. Maybe I'll give it a try. Enjoy your books. Way cool!! I've been eyeing Blood, Bones and Butter this year... I would love to hear your review! 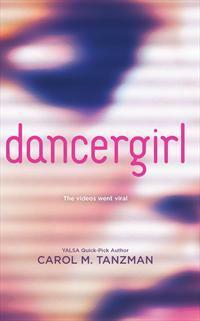 I LOVED Dancergirl, it was so not what I expected but such a great book. I've had my eyes on A Touch of Power for a while now. Hopefully your review will be out soon. And I've heard mixed things about Dancergirl, but it hasn't quite peaked my interest yet. Great haul this week! Great books this week! Can't wait to hear your thoughts on Touch of Power! Dancer Girl books really interesting! Hope you enjoy it and all your other books. "a weakness for cooking memoirs" I love that! Touch of Power sounds so good! Hope you enjoy the rest! I want to know how Blood, Bones, and Butter is - I love me my food!! - Jessica at Book Sake. Great Mailbox! I really enjoyed dancergirl. Hope oyu like it too! A touch of power... I read a review the other day from a friend and It sounded quite good! I hope you'll enjoy all the books you got. Nice mailbox! Not familiar with any of these, but I know that Maria V Snyder is good. Thanks for stopping by my blog! I saw The A Circuit on Barnes and Noble awhile back and have had my eye on it. I think it sounds really good, and want to pick up a copy of it eventually. Touch of Power also sounds amazing. :) Hope you enjoy your books. I got Touch of Power last week. Haven't gotten around to reading it yet. Nice to hear good things about it. Great haul! I really enjoyed Dancergirl! I am so happy to hear you loved Touch of Power! I did too. I don't think Maria will ever disappoint <3 Dancer girl looks good too, HarlequinTeen usually have great titles! Hope you enjoy! I LOVE the cover of A Touch of Power! Is it part of a series? Dancergirl also looks really good! 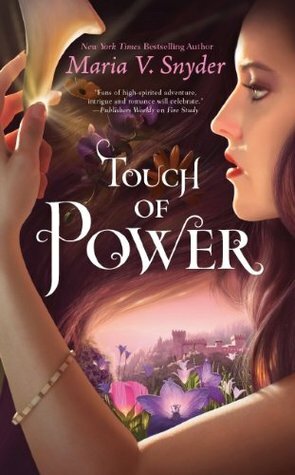 The cover of Touch of Power is really pretty! dancergirl looks really good! I hope you like it! I liked Touch Of Power. Thanks for stopping by! Touch of Power and Dancergirl looks really good! I'm looking forward to hearing your thoughts on both books. Great IMM this week! Enjoy! OOH Touch of Power looks so good! Dancergirl looks really good! I hope you enjoy everything you got this week and thanks for stopping by my IMM! Did you *whispers* know you have Touch of Power? Don't tell anyone. I. Freaking. LOVED. this book. It was one of my absolute favourites of 2011---top 3, along with Across The Universe and Shatter Me! Amazing! So can't wait for your review! 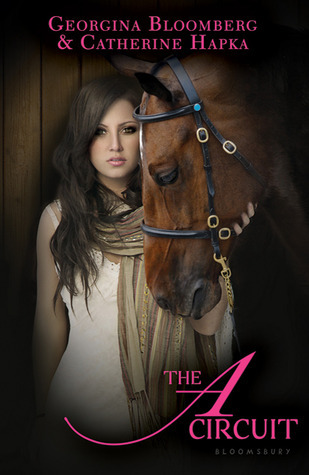 I haven't heard of the A Circuit before, but I love horses so I think I definitely need to check it out! And I see a lot of good reviews on Touch of Power. :) Happy reading, and thanks for stopping by my blog! I can't wait to read Touch of Power! Glad to hear you liked it. I really want to read blood, bones an butter. I hear it's really good. I haven't read touch of power yet but love Maria Snyder. Have with all your books! Omg I LOVED Touch of Power :)) SO GOOD!! Touch of Power looks good but I lost some faith in Snyder after Fire Study. Let us know how it is! Glad you also enjoyed Touch of Power! great mailbox! I loved Touch of Power! I hope you like it! Nice books! Touch of Power and Dancergirl sound really interesting. Thanks for stopping by. Happy reading! I've been hearing a lot about Touch of Power recently. I'm a thinkin' I need to pick this one up. Great mailbox! Great IMM! I have Touch of Power as well. I'm looking forward to getting into that one. I have heard so many good things about Touch of Power! I'm glad you liked it:) Hope you enjoy all your books. Yay for Touch of Power and Dancergirl!! :D Both of those look sooo good! Hope that you enjoy reading them both, or well, I'm GLAD you enjoyed Touch of Power! hehe. Touch of Power! Oooh! I sooo want to read that! I've seen Dancergirl several times but I haven't decided if I'm going to read it or not. Let me know what you think of it. I have Touch of Power but still haven't read it, I should do it soon!! Nice Mailbox! You got a few good looking reads this week! :) Thanks for stopping by Under the Covers! Nice Books you got here! Great IMM! You got a lot of books that sound really good! I can't get past the cover of A Touch of Power. I know some people thing it's great -- but what is that thing she is holding? It just doesn't appeal to me. Although, I like the UK cover. I guess I just need to concentrate on what's inside -- but that's hard for me! Ooooh, loved Touch of Power! Wasn't it wonderful. EEP! Nice! Touch of Power sounds like it will be good, might have to pick that one up. Touch of Power looks good, I think I saw it on NetGalley. The cover is so pretty! Thanks for stopping by my blog! Hope you had a nice weekend! I've had my eye on Blood, Bones, and Butter for awhile now! I have a weakness for a cooking memoir too ;) Can't wait to see what you think of it! dancergirl was a creepy book, but really good! I am from "I Love Books" Club, and to answer your question, yes it is, a Nancy Drew File:#81 Making Waves. Great IMM! I LOVE maria v snyder's books! I cannot wait to read Touch of Power! Awesome mailbox week! Thanks for sharing and for stopping by! Blood, Bones, and Butter looks really interesting! You got such a variety of books this week! Thanks for visiting Des Absurdites! great books! A Circuit keeps popping up everywhere for me, but i haven't heard about it before. checking it out. :D thanks for stopping by! I've been reading mixed reviews on Touch of Power, but like the sound of it and hope you do to. Enjoy! 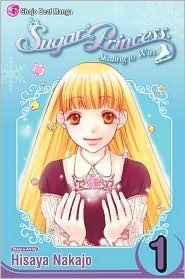 I haven't read Touch of Power yet but I did hear lots of great reviews on it, hope you enjoy it as well :)I'm pretty sure I've read Sugar Princess but it was a while back. Awesome stack! I need to look up DancerGirl. Hi, thanx for stopping by my blog! I'm curious what you'll think of 'A Touch of Power', I have been wondering about it! And I want to know what 'Dancergirl' is about! Enjoy reading! Great IMM! I've heard great things about Touch of Power. I'm thinking of checking it out. Happy reading! I have a Touch of Power, but haven't read it yet. I've heard great things about it, so I'm looking forward to your review. Interesting collection this week. I need to read some Snyder books. Dancergirl sounds great. Happy Reading! Thanks for stopping by The Book Bag. The cover of Touch of Power is beautiful - I will have to check it out (cover lover) :^) Nice IMM this week. OOOO I keep seeing Touch of Power, it sounds great, I'm gonna have to check it out soon! Enjoy the reads! Great IMM. I really enjoyed DANCERGIRL. Hope you do too! GREAT IMM! I really want to read Touch of Power, especially after seeing the awesome book trailer! I cannot wait to pick that one up! Thanks for sharing and for stopping by my IMM! Got some good books there -- and holy cow a lot of comments on this post. What is your secret chick?? I liked Dancergirl. It was creepy and something different than I normally read. Love the library! I always try to have a big stack of books from the library. Touch of Power looks really good but I have like 15 Netgalley books I want to finish before I request any more! I need some self-control! Thanks for visiting. Great set, Alison! Touch of Power looks awesome! That manga sounds so old school! Great haul this week, can't wait to see your review for dancergirl! Thanks for stopping by! I have seen Touch of Power a lot lately, hope you enjoy it! Dancergirl sounds really good also. 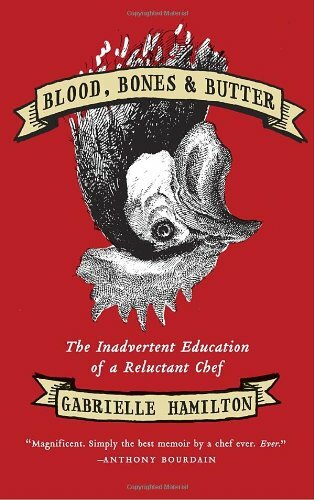 Blood, Bones and Butter looks pretty interesting, in an odd sort of way :) I didn't know there really was such a thing as cooking memoirs - sounds like my two favorite hobbies, eating and reading, combined. I'd love to see you do a review on it!! Thanks for visiting me... Have a great week! Touch of Power is an amazing book! I loved it! And it's by Maria V. Snyder, which just makes it all the more greater :) And Dancergirl looks really good :) Happy reading!